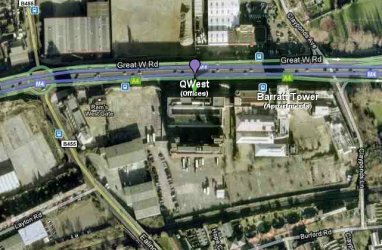 By Car: The QWest building is on the south side of the A4 which runs under the elevated section of the M4. We suggest M4 travelers exit at Junction 2. Eastbound travelers should continue on the A4 to the Chiswick roundabout and return on the south side (westbound) of the A4, turning into the Clayponds Lane entrance to the QWest site. Westbound Travelers on the M4 can exit at Junction 2 and immediately take the turning into the Clayponds Lane entrance to the QWest site. 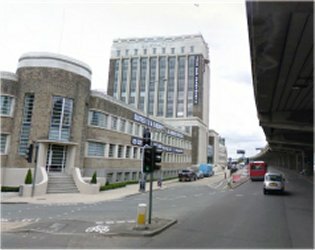 Public Transport: The site is close to the Ealing South Underground and Kew Bridge and Brentford rail stations.